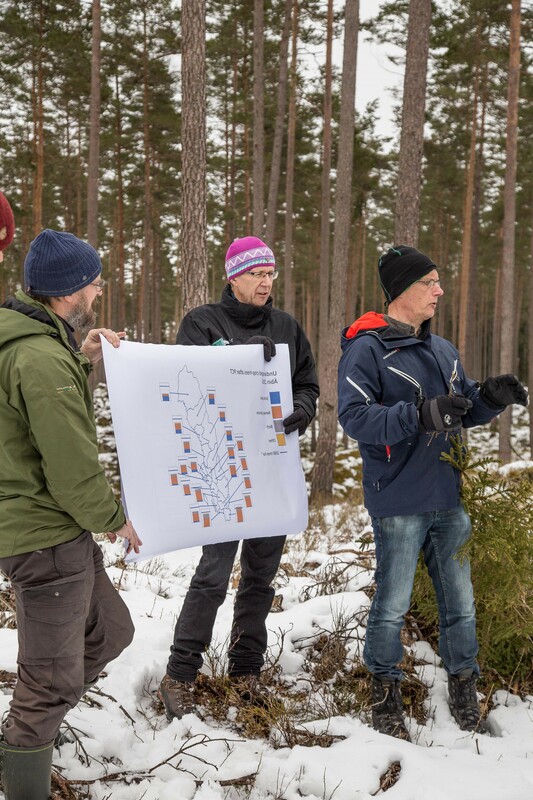 ALTERFOR explores the potential to optimize forest management models currently in use in different forested areas in European countries. The international consortium of scientists and forestry practicioners will examine alternative forest management models in ten case study areas. Each area represents different forest management practices and socio-ecological conditions across Europe. 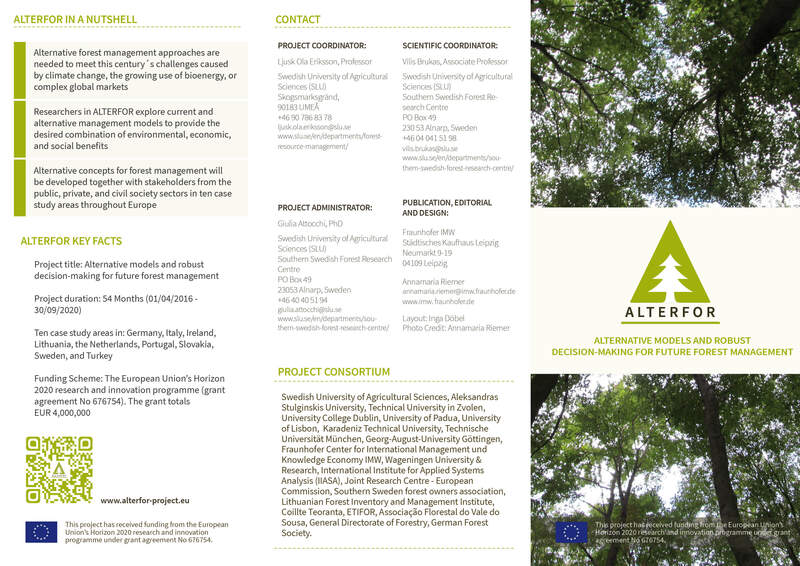 ALTERFOR is a large-scale, collaborative research project funded under the EU’s Horizon 2020 research programme, coordinated by the Swedish University of Agricultural Sciences (SLU), and involves twenty organisations from nine countries. "Reconsidering silviculture to meet challenges to European forests"
This policy brief presents a selection of findings on the current challenges to European forests and desirable silvicultural alternatives for meeting those challenges. Overview of scientific results obtained by ALTERFOR: deliverables and milestones, publications and presentations. Ongoing multimedial documentation of ALTERFOR´s actor-oriented research activities (videos, reports and pictures). The project involves a consortium of twenty highly estimeed organisations from nine countries.